science | What's not to like? Though students have planted most of the daffodils, I usually picked our prizewinning blooms the first couple years the school garden was represented in the youth division of the show. Then I got a little smarter and had the kids go out and pick the flowers. This year I was even smarter and put the whole process in the students’ hands: I not only had the students choose the flowers, after a short tutorial on how to do so properly, but I also had them key out the flowers using a laminated guide with flower part diagrams and division breakdowns. They also arranged the blooms in show vases and filled out the submission cards. Our wonderful Garden Beneficial for the day, Jenny graciously offered to drop them off at Town Hall, ready to enter. And like every year, we brought home a handful of ribbons—but this year, the ownership of the flowers and the garden and our participation in the show was better than ever—no surprise. 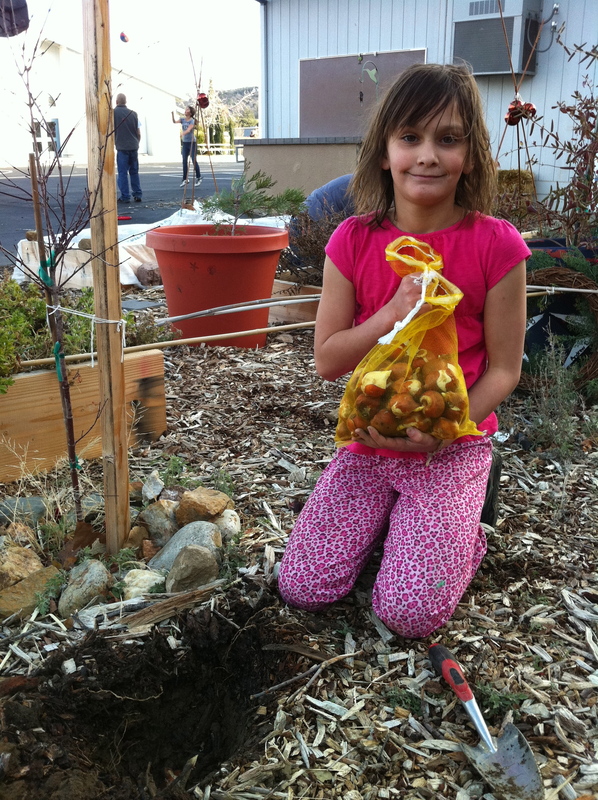 School garden cardinal rule: get kids’ hands on everything! Our principal “liked” it, writing “This photo says a lot.” When I asked him to “Say more!” he responded with this comment which I thought deserved its own post. Thanks Mr. Copeland for being a principal who “gets it” on so many levels! Last Thursday was Science Day at our school during which students went from “station” to “station” spread across campus for science-based lessons. 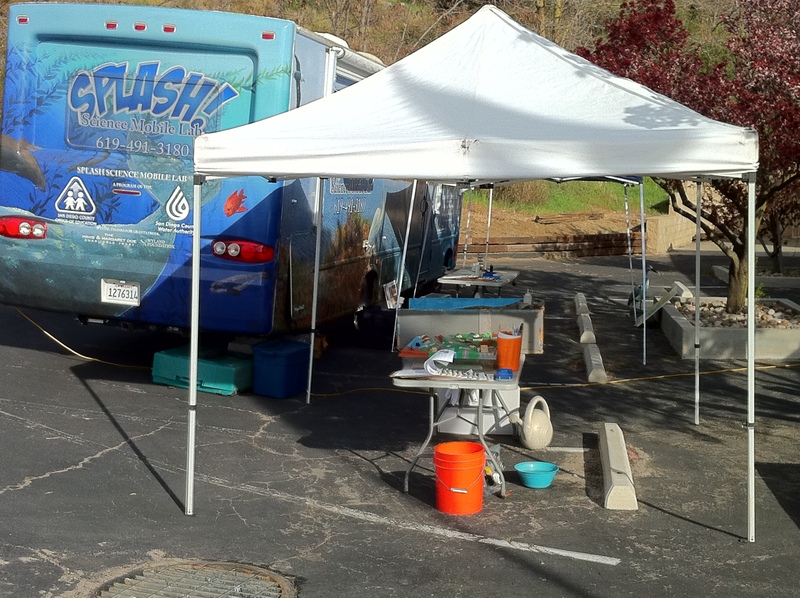 For example, San Diego Country Office of Education brought their traveling Splash Lab (microscopes and chemistry experiments) and Green Machine (soils, integrated pest management, water cycle) programs. Almost every student passed through the garden for a 30-minute class. In the morning, we had the younger classes combined by grade so I divided the children into groups with an adult (teacher, parent, and/or aid) and explained that they would go to 5 different stations for 5 minutes each. 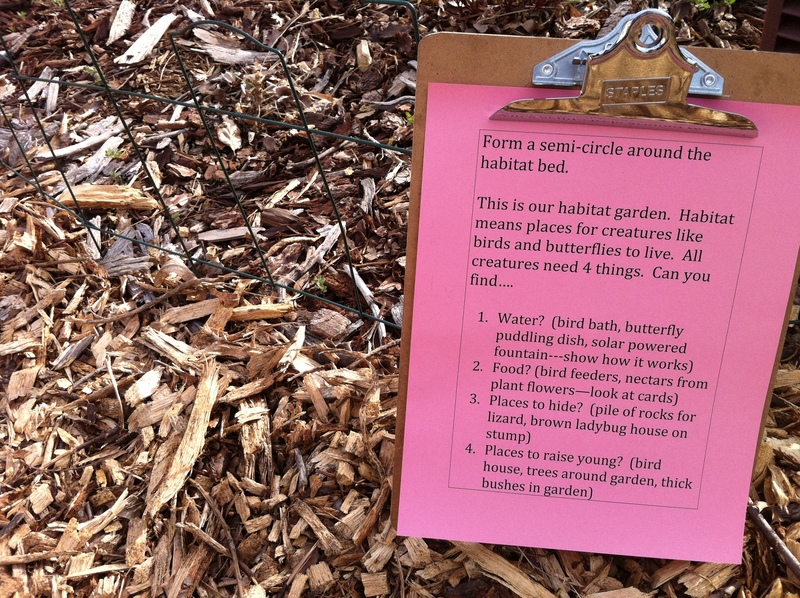 Each station was set up with a clipboard of simple instructions and the necessary equipment. I went from group to group to answer questions, point things out and re-set materials. 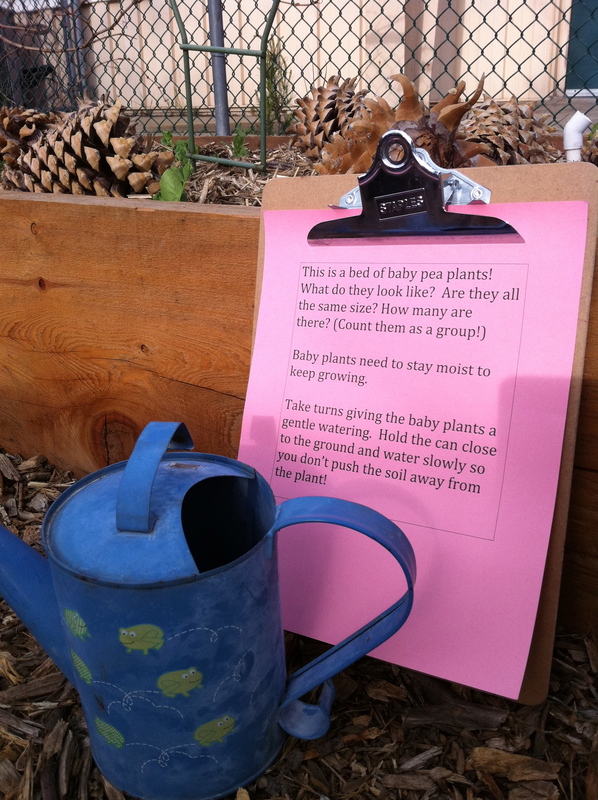 Other classes had already planted peas in other beds. 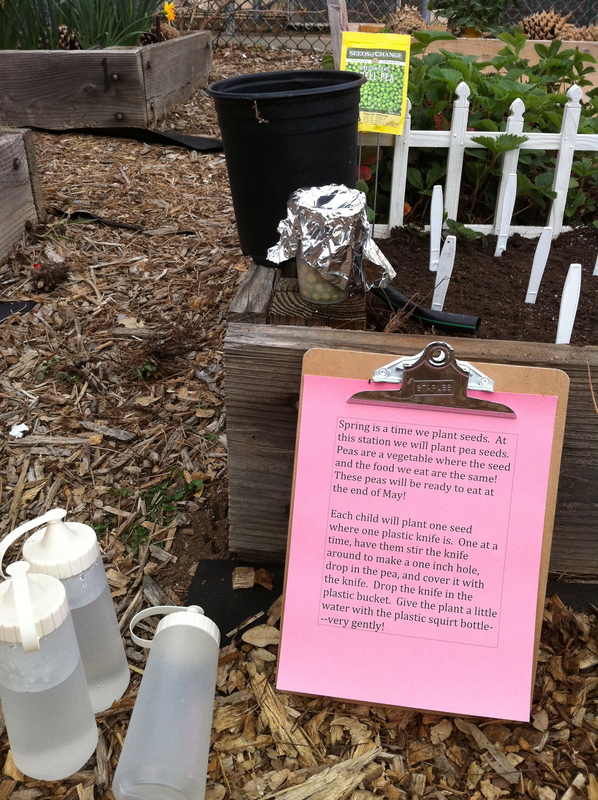 At this station kids observed their growth and watered. 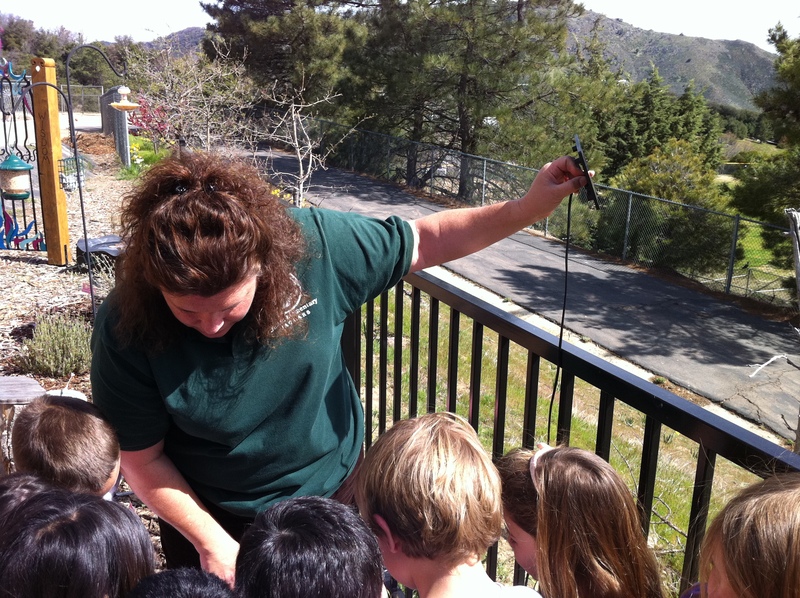 Mrs. White demonstrating how our beautiful fountain turns on when she holds the panel to the sun. A wonderful day for hands-on learning! 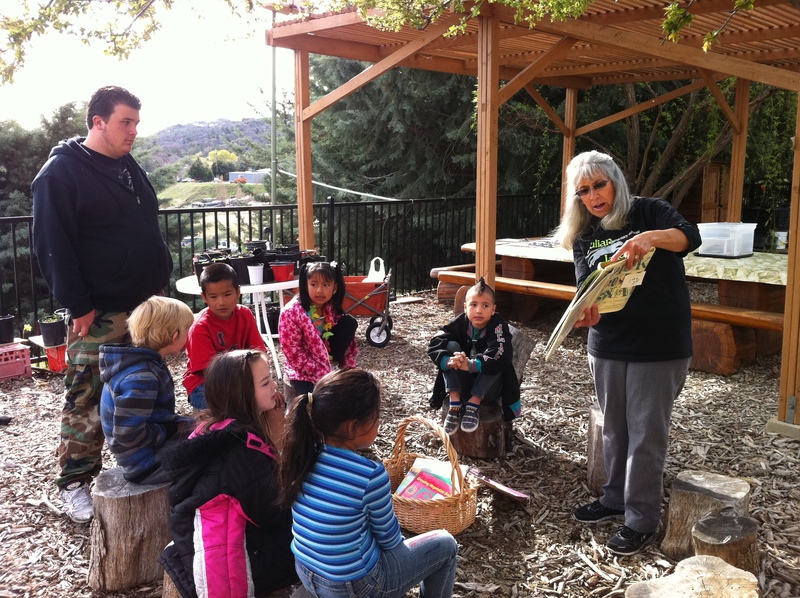 As I begin to connect with more and more garden coordinators, I realize that a common challenge with school gardens is “when and how to get kids out there.” As a former teacher, I fully understand all that must be accomplished in a single school day and how overwhelming it can feel to add one more thing to the schedule, no matter how important. 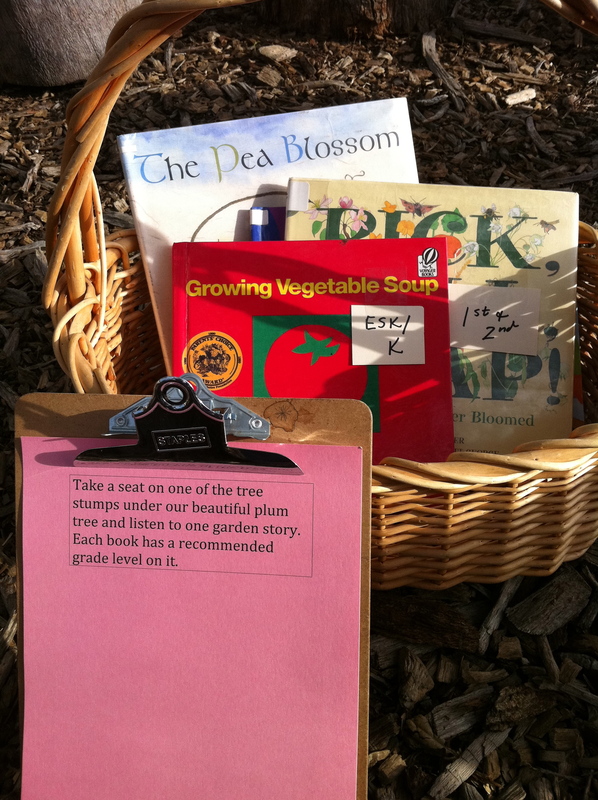 For this reason I love it when people introduce me to user-friendly curriculum units like “Tulip Test Gardens” from Journey North (www.journeynorth.org). 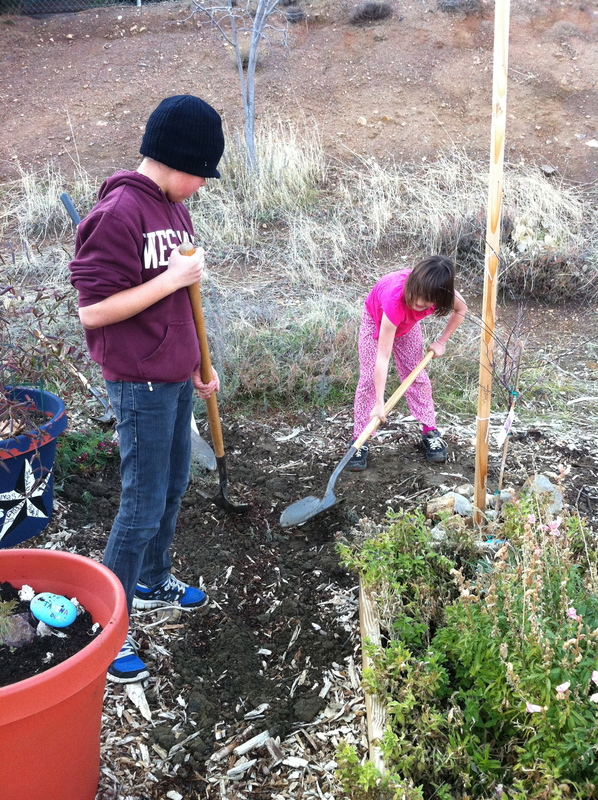 In this project students plant the same variety of tulip in their school gardens (using the same set of directions, such as no planting on north-facing slopes which would cause tulips to bloom early). Students record when the flowers first emerge, and then again when they bloom, inputing their data on the Journey North website. In this way, students “track the arrival of spring” across the globe, thus studying the relationship between climate and geography. 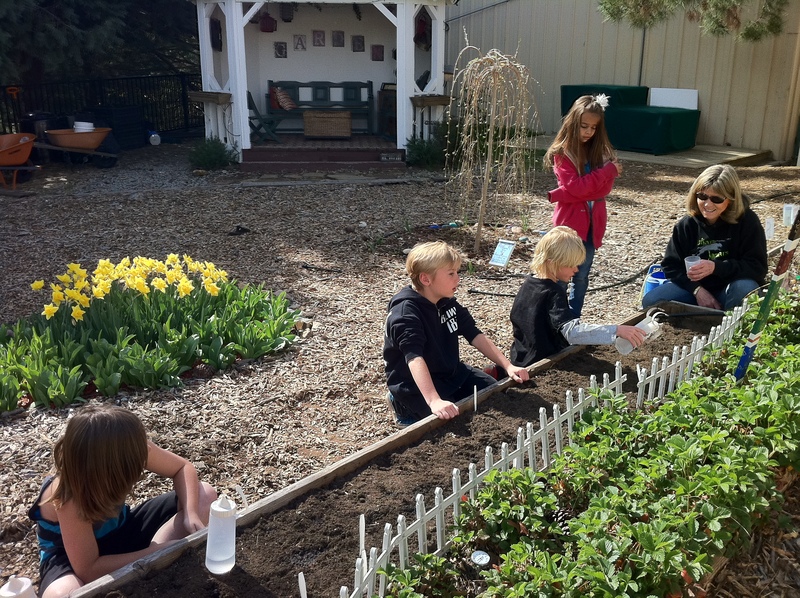 Our science teacher wants to try it out…..so our tulips were put in this week! 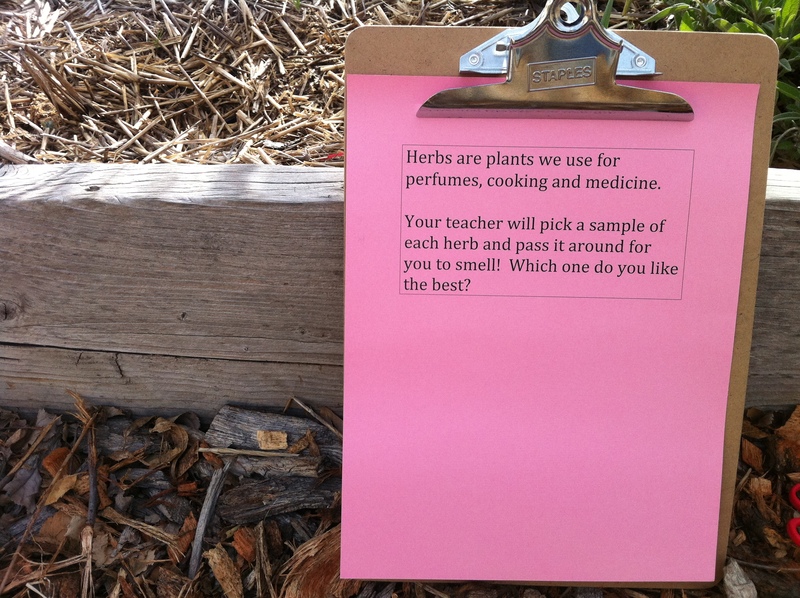 When it comes to school gardens, how cool is it for children to be collecting data with real-world applications? I’ll let you know how our first attempt goes!